Hajvery University Lahore offered admission 2019 which is the 2nd most popular HEC recognized institute that located in Lahore the central city of Punjab. 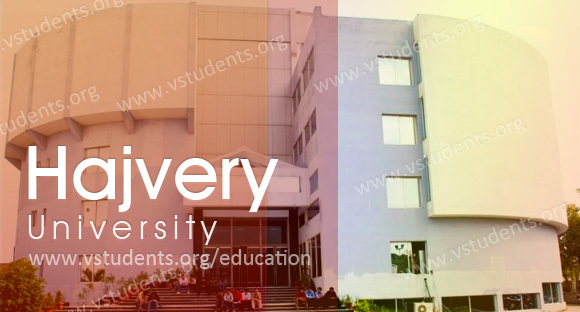 University is committed to disseminate quality education and managing a society of enlightened minds. They believe that knowledge is the liberating power which allows candidates to live a profitable life of personal satisfaction. This educational institution is a foremost and primary University of Pakistan among the pool of 20 established universities all over in European Union. It has three campuses that situated in an era which can be described the rushed place, unlike many Pakistani universities that are situated very far from the city. Hajvery University has the boundary of catering for young and professionals who work in some fields and can easily carry on their studies over here in the evening. Check admission details below with deadline of forms submissions and fee structures. Candidates can be enrolled in their self in Hajvery University Lahore euro campus in various fields and courses to continue higher education from Pakistan’s foremost University by HEC rankings. This institute is famed to broadcast academic excellence in the field of Fashion designing, BFD, BBA, MBA, BS, BCS, MCS, Ph.D., undergraduate and postgraduate programs. Find the entry test date for admission, HU fee structure for relevant programs, HU jobs, results, Scholarships and admission last date for form submission. The students can submit their application forms online at the official website of HU or can get by hand from the admission office. Last date to submit an application: August 18, 2019. Entry Test Date is 19 July 2019. University allows students to enroll for different programs with their fee structures. Fee Structure for BBA, MBA, BSCS, and Engineering (Hons) are the same having 25000/- of registrations fee and 70000/- per semester. The sum of the fee will be 95000/- for that. Find more details about fee structure from official website because it tends to change for different programs. For the enhancement of the level of studies in the media and communication field, the university is giving education to its students from highly qualified faculty and offering admission in textile and fashion designing. The University offered admission in bachelor of fine arts BFD four year and MFD master of fashion design that is based on the information of fashion marketing & merchandising, fashion graphics & illustration and multimedia. The candidates who are having interest in textile and fabrics designing they have best option to enroll themselves in department textile designing Hajvery University Lahore. which gives graduate and postgraduates programs in this field including BA and MA where the students will learn about Textile technology, Fine Arts, Fabric creation, Printmaking, and Motif development. If you are going to get admission in textile designing you should follow NTU Admission 2019 because this is one upmost institute working with textile designing in Pakistan. Get enroll yourselves in the department of business which has announced admission in MPhil & MS level leading to Ph.D. Those who have completed their 16 years of education and did not gain third division in their academic career can apply for this course. The faculty has arranged MBA professional degree plan for all the job holder personals who cannot take regular classes. Now they can easily complete their master’s degree by taking weekend classes at Hajvery University Lahore. The students who are going to apply in any of the above programs they must have completed their last degree in maths, economics or statistics with at least 45% marks. As a paramount institute of Pakistan to deliver the esteemed level of academic supremacy the university is aimed to delegate new professors and deans. Dubble note that is you worth to apply for HU Lahore job opportunities? to maintain their academic level?. This session university offers jobs 2019 via press and media recently in fashion designing and business fields. please scroll to the official website for updated jobs in HU Lahore. For further admission and fee, structure assistance visits Hajvery University official website. Please tell me about b.com last date and fee structure.